Eddie grew up playing sports, focusing on baseball. As he moved into middle school and high school competition, he became more interested in off-season workouts. 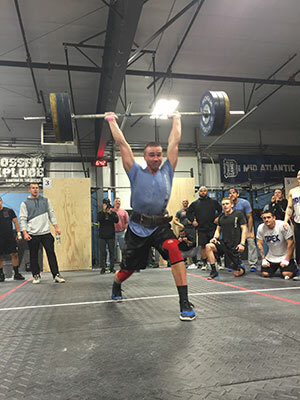 During his sophomore year in 2013, his English teacher and former coach at Explode introduced him to CrossFit and Eddie loved it right away. In addition to CrossFit training, Eddie has been exposed to lots of life coaching, which plays a large part in his everyday life and carries over to CrossFit. He also competed at regionals on the Explode team in 2015.